Addie is using Smore newsletters to spread the word online. He was born in Vinci, Italy on April 15, 1452. 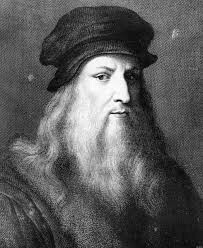 Leonardo spent most of his life in Italy and France. He started his formal artistic studies at 15 with verrocchio and studied painting, mechanical arts, and sculpture. Da Vinci was a illegitimate son of a well-know notary in Florence. He was brought up in the home of his father and was a only child growing up. He was idoled by his grandmother and maybe his step mother. Leonardo created a lot of art that was symmetrical and had to do with the human body. Some of his art work is The Mona Lisa and The last supper. He also made sculpture like David and The Sistine Chapel. In 1482, he started his first job as a artist and engineer in residence from the duke of milan in Italy. He did that for 17 years. He then painted one of the walls in the new city hall but since he tried a new technique that wall was never finished. Da Vinci then spent the last part of his life living with pope Leo x at Vatican palace. Then lived and worked at the palace of the french king, Francis 1. This painting is now located at The Louvre museum in Paris, France. The painting was significant by the colors he used and the meaning of The Mona Lisa. I find this painting interesting because I wanted to know why he chose to paint this kind of piece. 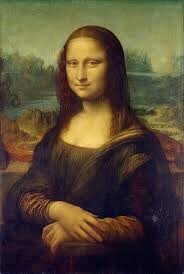 I think The Mona Lisa has a bigger meaning then just a painting of a woman. Humanism is linked to this piece because it is focused on a person. "Leonardo da Vinci." World of Biology. Gale, 2006. Biography in Context. Web. 19 Nov. 2013. "Leonardo da Vinci." Authors and Artists for Young Adults. Vol. 40. Detroit: Gale, 2001. Biography in Context. Web. 19 Nov. 2013.